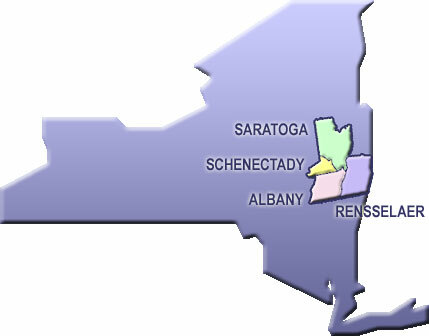 The Capital District Regional ITS Architecture is a roadmap for transportation systems integration in the 4 county (Albany, Rensselaer, Schenectady, and Saratoga) metropolitan planning area covered by the Capital District Transportation Committee. The architecture is being developed through a cooperative effort by the region's transportation agencies, covering all modes and all roads in the region. · Planning Agencies to better reflect integration opportunities and operational needs into the transportation planning process. · Operating Agencies to recognize and plan for transportation integration opportunities in the region. · Other organizations and individuals that use the transportation system in the Capital District region. This regional ITS architecture has a time horizon of up to fifteen years with particular focus on those systems and interfaces that are likely to be implemented in the next ten years. The architecture covers the broad spectrum of Intelligent Transportation Systems, including Traffic Management, Transit Management, Traveler Information, Maintenance and Construction, Emergency Management, and Archived Data Management over this time horizon. The purpose of this regional ITS architecture web site is to encourage use of the regional ITS architecture and gather feedback so that the architecture is used and continues to reflect the intelligent transportation system vision for the region. The menu bar at left provides access to the stakeholders, the transportation systems in the region (the "Inventory"), the transportation services that will be provided, transportation-related functions that are envisioned, and the existing and planned interfaces in the region. The majority of this web site was generated directly from a Turbo Architecture database which defines the architecture for the Capital District region. The source database in Microsoft Access format is also available for download.